When you move into a new home one of the first things you may think about is the security of your dwelling and the people and property in it. Whether you live in Seattle or the surrounding areas, there are precautions you can take even before you order a security service. We at Sevan Locks and Doors will go through some of the simple steps you can take to help pick proof your lock. Getting a great deal or a cheap buy may be okay with some things but when it comes to the safety of your home spare no expense. The truth is, when it comes to the locks and entryways of your home you get what you pay for. Two to one, if it’s cheap it is not worth your time and you will want to invest in a quality, tried, and true product. Keyless locks are one of the most effective ways of keeping intruders out. A good one can range between $100-$350. Some of them can actually connect to Bluetooth so that you can grant access from your phone. There are many that still have a key slot for emergencies so this may be something you want to consider when purchasing your keyless entry system. The less hardware you have the harder it will be to take it off and gain entry into your home. The keyless entry is by far the most effective way to avoid key bumping or picking. Pick resistant locks have an extra set of locking apparatus inside that cause the key to have to do two things at once, making it harder to pick. Each lock has its own individual system it uses. Some work by using a pin within a pin or a second set of pins. Either way, these types of locks offer great protection for the homeowner. In essence, the criminal would require a certain amount of luck to pick these locks. They are also very cost effective for every budget. Some of the best pick-resistant and anti-bumping locks are made by Schlage as listed above. There are other brands as well that offer excellent protection against lock picking and bumping. The Nextbolt NX3SN EZ Mount Deadbolt is the latest in lock technology. It is UL certified and allows you to program your fingerprint along with 99 others. The Kwikset 991 Cameron Entry Knob and Single Cylinder Combo Pack is not only pick-resistant but it fits the budget of most homeowners. Not everyone can afford a keyless entry lock but this is one of the best deadbolts for your money. The more uncommon your keyway is the more resistant it will be to intruders. There are many locks out there with very similar keyways making it fairly easy to pick a lock anywhere. When purchasing a lock from a hardware store you will find that there are four other locks on the shelf all of which will have the same key and keyway. This information can seem very frightening but there’s an inexpensive and easy way to take care of this so you don’t share the same lock with four others in Seattle. Purchase your lock of choice and take it to a locksmith. You will want to ask them to rekey it with an uncommon pathway and give you a new key. Avoid doors with windows since they can be broken and the door opened from the inside. Reinforce your doors with deadbolts and flip guard door locks for your deadbolt. Invest in solid doors instead of hollow ones that do not add as much protection. It is important to do your research for the safety of you and your loved ones. There are anti-bump locks available for all budgets that will give you the security you and your family deserve. 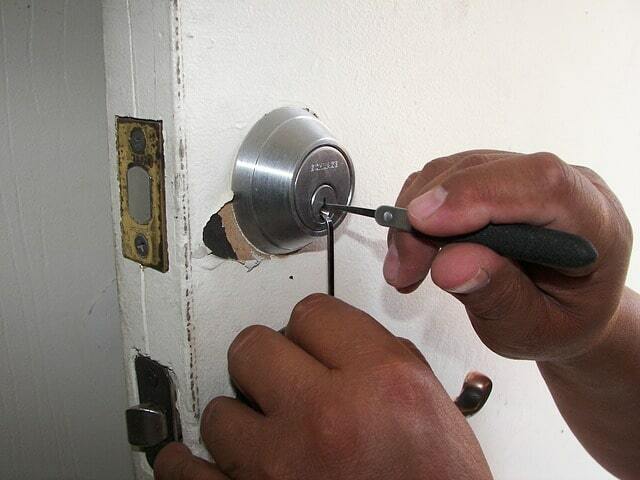 We have trained professionals that can assist you with any of these locksmith services. Thank you for reading our blog! How can Sevan Locks and Doors help you? Give us a call today!